Advance Football Centre Inc. -‘A.F.C. Inc.’-aims to “Advance” players development using the holistic football development approach within the four main components of football-technical, tactical, physical, mental-and where the football specific resistances activate the holistic ‘Perception-Decision-Execution’ (PDE) chain of coaching. In pursuit of this aim ‘A.F.C. Inc.’ coaching staff will be helping each player to “be the best they can be” within a safe and fun environment. ‘A.F.C. Inc.’ also aims to “Advance” coaches development and knowledge with programs and services to be offered and conducted within a welcoming and helpful environment. Ron Smith -former AIS Head Coach and current FFA Coach -Seminar Saturday April 6th 2019 -Laurieton United Services Club and Camden Haven F.C. EPL Development/High Performance Coach Frank O'Brien Chelsea FC Academy Coach - Seminar May/June 2019 -Date and venue to be advised. Steve O’Connor -former Socceroo and AIS Coach -Date and venue to be advised. Craig Johnston -Liverpool F.C. legend -Date and venue to be advised. David Mitchell -former Socceroo and A-League Coach -Date and venue to be advised. 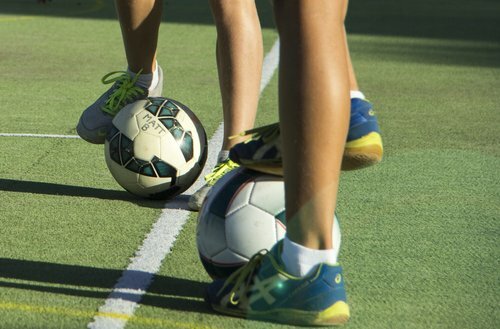 Two Futsal Coaching Seminars to be held at Awaba with dates to be advised. A three day school holiday coaching clinic with 7 ½ hours of quality coaching from FFA accredited A.F.C. Inc Coaching staff. For both boys and girls aged 7 years - 15 years of age, the sessions are about learning new skills, playing lots of games, making new friends, but most of all, having lots of fun! The ten sessions will cover shooting/striking the ball, shooting/scoring goals, shooting/volley and half volley, receiving and shooting, finishing from wider areas(crossing etc. ),quick play in and around the box-passing and first time shooting, combination shooting exercises, heading techniques. The ten sessions will cover starting position and catching techniques, collapse save technique, footwork-running, sprinting and ¾ movement, short pass and distribution-throwing, rolling and push throws, positioning-corners, wide angle crosses and wall positioning, slalom saves, catching and diving drills, deflecting and punching, distribution-kicking variations and one on one situations.